If you are a first time buyer financing your first car can seem like a daunting task. Most lenders require a cosigner or an extremely large amount of cash down in order to finance your first vehicle. There are a couple steps you can take before its time to purchase your first car in order to make this process go much more smoothly. The first thing you can do to start establishing credit is open a secured credit card at the bank of your choice. Secured credit cards are easy to get and will help show that you can make regular on time payments. Secured credit cards do help your credit score as long as you keep your balance low and make all of your payments on time. Typically banks will convert your secured credit card to an unsecured line of credit after you have had it for a while. The second thing you can do is make sure that the car you are looking for is reasonable for your first loan. A bank will not give a huge auto loan to some one who has not had credit before. Typically lenders look for a first time buyer to spend about 8-12 thousand dollars with about 10-20 percent down. The last thing you want to do is make sure that you do not have any collections on your credit report. Collections and late payments are what cause credit scores to go down. They also make it a lot harder for your credit score to go back up even with on time payments on another account. If you are a first time buyer with collections on your credit report you can still get financing but the terms will not be as favorable. 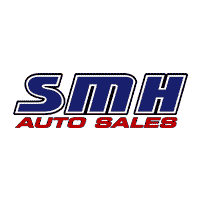 At SMH Auto Sales we do provide options for customers who are first time buyers. Our goal is to provide customers with as much information as possible about first time buyers so that we can continue to build positive relationships in our community and to be as helpful as possible. The best scenario for any person purchasing their first vehicle is to have a highly qualified cosigner that way you can enjoy low rates and good terms on your first purchase. If you do not have a cosigner available do not worry because we can still help you even though you are a first time buyer! !